Everything You Need to Know About Web Host Agents | Host.ie - Linux Hosting packages for all your Irish web hosting needs. In today’s digital-obsessed world, you’re well aware that your Irish business needs to have a strong web presence — starting with your website. You know elements like SEO, website design, and including client testimonials are important parts of your website. But, there’s one major thing you need to consider before you start making concrete plans for your website: the web hosts agents you’ll rely on to keep your site online. But what is hosting a website, exactly? And why are professional web hosting services so important for your business? Most importantly, what sort of hosting platform should you select? Don’t panic — the process of finding the right web host isn’t as intimidating as you might expect. In this post, we’ll guide you through the process and fill you in on the most important details. Let’s begin by taking a look at how to define web hosting. In the simplest terms, web hosting is the space and services allowing you to put your website on the Internet. In most cases, you’ll rent out a bit of space on a larger server owned by the web host. The technology and space in this server is what helps your website to stay online and what allows visitors from all over the world to access it. So, how exactly do visitors view your website in the first place? They do it by typing your “domain name,” or your website address, into their Internet browser’s address bars. You’ll usually need to purchase your domain name in order to work with a web hosting company. There are several different types of web hosting you’ll be able to choose from. These types are usually differentiated by how much space you’ll get on a server, where and how your site files are stored, and whether or not you share a server with other websites. We’ll speak more about the different types of web hosting later on in this post. Now that you can answer the question, “What is a web hosting service?” let’s move onto talking about why having a web hosting service is so important, and the benefits it offers. First of all, web hosting services give you the technical support to keep your website up and running. They’ll also help your website to load quickly and completely, and will provide technical support for your site. In short, they’ll ensure your website has as much “uptime” (or time where it’s online, working correctly, and fully accessible to visitors) as is possible. You should aim to have an uptime that’s as close to 100% as possible to avoid losing profits and taking hits to your brand’s reputation. Still don’t quite understand why uptime matters? Consider this: in 2013, Amazon went offline for just 40 minutes. The company lost five million American dollars in that time alone. Your website might not be as profitable as Amazon (yet!) but, it’s still a good reminder of what you stand to lose if you don’t prioritize uptime. In some cases, they’ll also help you to automatically update and install new software. Web hosting services also provide a backup of your data and website. These automatic data backups happen much more frequently than they would if you were manually backing up your website data yourself. This means that, even if your site is hacked into or crashes, you’ll be able to restore your website quickly without losing much, if any, of your information. In addition to helping to make sure your website has as much uptime as possible, web hosting services also provide excellent site security. Hosting services will also scan your site for viruses, help you to identify suspicious activity, and even block specific IP addresses. Remember, web hosting services also come with lots of additional features and add-ons you can choose from. This allows you to customise your website and your overall approach to data management. One of the biggest benefits of working with web host agents is the scalability their services offer. Especially if you’re a younger or smaller business, you don’t want to get stuck paying for features and storage space you don’t yet need. Professional web hosting services will ensure that, once traffic begins to compound on your website, you have the option to purchase more space. In a sense, your web hosting platform can grow right alongside your business. Earlier on in this post, we mentioned that you have different types of web hosting to choose from. Now, it’s time to take a closer look at the most popular kinds of web hosting, so you can decide which option might be the best fit for your needs. Most web host agents will offer some form of shared hosting service. This is the perfect choice for new and small websites, as well as companies who are on a bit of a budget. As the name implies, your website actually shares a server with many other websites. This means you’re also using the same resources as the other websites on your server. You’ll share CPU/memory, storage space, RAM, and other features. While it’s a nice choice for beginners, as your website grows, you may find you don’t like being at the mercy of other websites. For example, let’s say another website you’re sharing a platform with goes viral and sees a huge spike in traffic. That sudden spike could cause your website to go offline for a while. This is because you’re all sharing the server space, and right now, most of the resources will go towards that highly-trafficked website. Now, let’s talk about the complete opposite of a shared hosting platform: a dedicated server. When you choose this option, your website has exclusive access to its server. Think about it like buying your own home. For those seeking maximum control, or for websites who see an incredibly large amount of traffic, a dedicated server may be a good fit. Of course, as you’ve likely expected, dedicated server hosting is a bit on the expensive side. Because you’ll be in charge of the operating system, security features, and more, you’ll need to be a bit more technically savvy. If you don’t have the time or the tech skill set to manage your server on your own, you’ll likely need to hire an additional system administrator to help. VPS web host agents are the perfect compromise between shared hosting and a dedicated server. To fully understand how it works, it’s best to think of VPS as owning a flat. There may be other people in the building with you, but none of them can get through your front door. So, your website will have one large “master server,” which is then divided into numerous virtual servers. Each site will have its own smaller virtual dedicated server. This is the perfect choice for those who would like to have resources similar to a dedicated server, but without having to pay the higher costs. Remember, you’ll still share hardware, but you’ll have your own amounts of RAM, your own CPU, and much more. Cloud hosting is one of the most talked-about kinds of web host agents and services in today’s world. Really, however, what it means is hundreds of different dedicated servers working at the same time. They’ll use the same resources to help run their applications and services. Think of it as lots of different servers working to keep your website online all at once. Its biggest selling point is its scalability. Let’s say, for example, your website gets a huge and unexpected spike in traffic (maybe you’ve just launched a new product). On some types of hosting platforms, this might cause your website to go down because you don’t have the resources to handle the sudden influx of traffic. With a cloud hosting platform, you’ll be able to automatically get access to more RAM and other resources. So, even if you see a sudden spike in traffic, your website will be able to remain online. But, remember — with cloud hosting, you can’t access your data without an internet connection. Many providers will also have a limit when it comes to bandwidth. Do your research and decide if it’s truly the right choice. Now that you’re more familiar with the different types of web host agents, let’s talk about the special add-on features you should be on the lookout for. Remember, when you work with a web host agent, they’ll likely also give you an email address to go with your domain. We strongly suggest looking for a platform that provides spam filters and virus protection for your email address. Remember that one nefarious email can bring down your entire website. You don’t want to start thinking about virus protection after the fact. Instead, you want to plan ahead and focus on virus prevention. Also, consider working with a platform that provides secure SSL certificates. This helps to encrypt the most sensitive data on your website, like credit card numbers and passwords. Especially if you’re an e-commerce business, SSL certificates are an absolute must-have. Finally, look for a hosting platform offering lots of different applications. This will allow you to customise and truly build your website according to your unique desires and specifications. Plus, working with applications within a hosting platform makes the installation process much faster and easier. With so many web host agents out there, it can be easy to make a bad decision if you don’t take the time to do your research. We suggest you look for services which offer data loss protection and round-the-clock monitoring services. If something does go wrong with your website, you don’t want to have to wait until it’s convenient for the hosting platform to fix it. Ask about how they’ll back up your data and how they’ll alert you if there’s suspicious activity on your website. Make sure you also check on the scalability they offer, as well as the different kinds of contracts you might get locked into. If a hosting company doesn’t count flexibility as one of their top priorities, then it’s simply not the right fit for you. Finally, consider speaking with past or current clients of the service provider. There’s no better way to find out what the process of working with them will be like. Ready to Connect with the Right Web Host Agents? 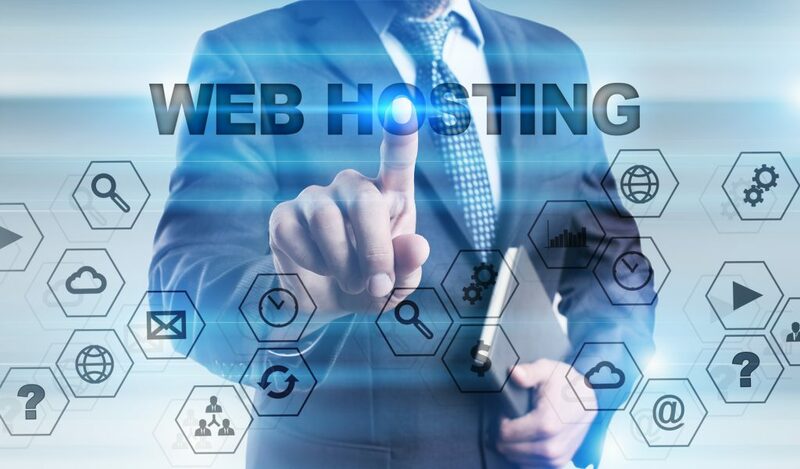 We hope this post has helped you to be able to better define web hosting, as well as to decide which type of web host platforms and services fit the needs of your business. Remember to think about the amount of traffic you expect to get, your budget, and how quickly you expect your business to grow. Be on the lookout for excellent support from potential web host agents, as well as guaranteed uptimes and superior add-on features. Ready to work with one of the top web hosting providers in Ireland? If so, then we’re ready to work with you, as well. Learn more about the different types of hosting services and other features we have to offer. When you’re ready to take your website to the next level, reach out to us to get started.